Modern and classy white rose boutonniere available in a variety of colors! 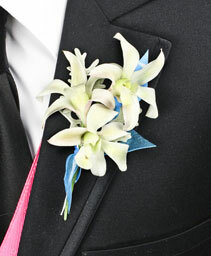 To make any modifications please place your order via phone with our designers 281-242-1555 Changes in flower type or color may affect price. 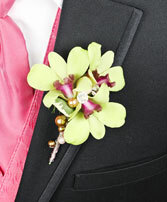 Modern and elegant green dendrobium orchid boutonniere (also available in white)! 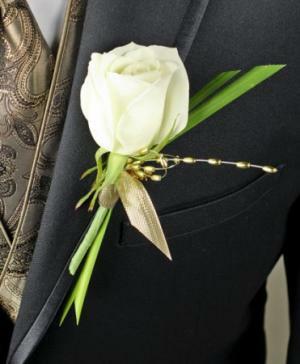 Price 2: Is without pearl ball accents To make any modifications please place your order via phone with our designers 281-242-1555 Changes in flower type or color may affect price. Alstroemeria boutonnieres are available in a variety of color combinations To make any modifications please place your order via phone with our designers 281-242-1555 Changes in flower type or color may affect price. 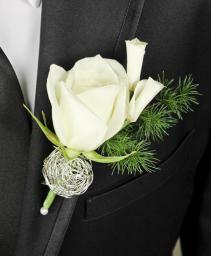 Simple and elegant White Rose boutonniere! 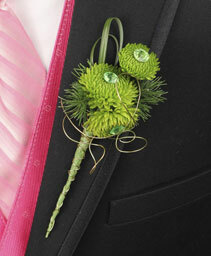 Price 2: Is without silver ball accent To make any modifications please place your order via phone with our designers 281-242-1555 Changes in flower type or color may affect price. Simple and elegant Red Rose boutonniere! Price 2: Is without bling accents, wire, or decorative greenery To make any modifications please place your order via phone with our designers 281-242-1555 Changes in flower type or color may affect price. 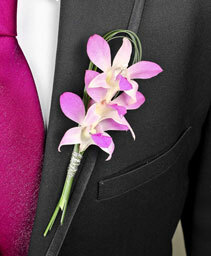 Modern and classy dendrobium orchids boutonniere available in a variety of colors! To make any modifications please place your order via phone with our designers 281-242-1555 Changes in flower type or color may affect price. This pixi carnation boutonniere is available in a variety of colors! 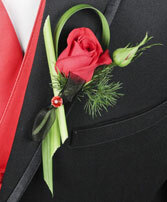 Price 2: Is without bling accents. To make any modifications please place your order via phone with our designers 281-242-1555 Changes in flower type or color may affect price. 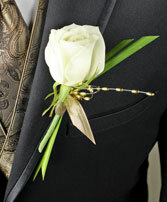 Simple and elegant Green Rose boutonniere! Price 2: Is without wire accents To make any modifications please place your order via phone with our designers 281-242-1555 Changes in flower type or color may affect price. 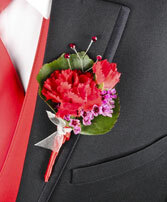 Perfect to match your outfit for the night this pixi carnation boutonniere available in a variety of colors! 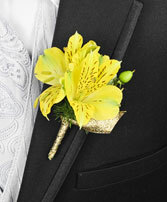 To make any modifications please place your order via phone with our designers 281-242-1555 Changes in flower type or color may affect price. This button kermit boutonniere has fun wire and bling accents incorporated in this design! 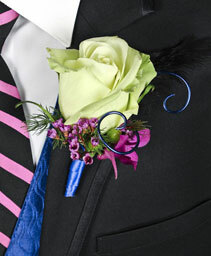 To make any modifications please place your order via phone with our designers 281-242-1555 Changes in flower type or color may affect price. 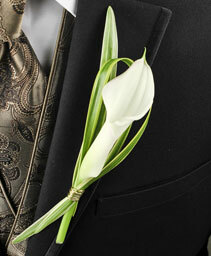 Modern and classy mini ivory calla lily is always in good taste! 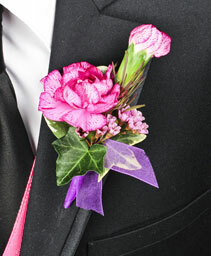 To make any modifications please place your order via phone with our designers 281-242-1555 Changes in flower type or color may affect price. 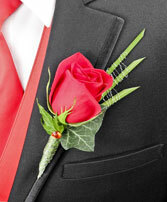 Simple and elegant Red Rose boutonniere, with fun wire design. 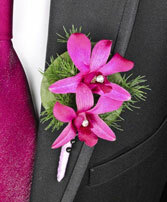 To make any modifications please place your order via phone with our designers 281-242-1555 Changes in flower type or color may affect price.